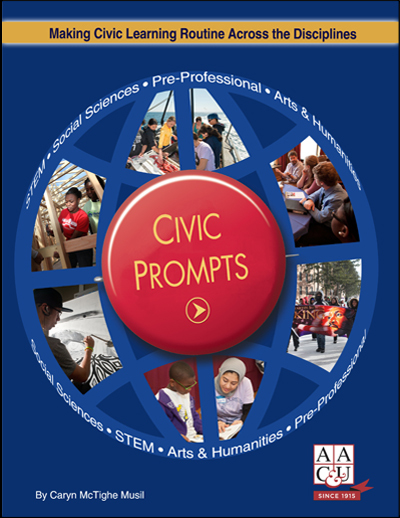 Published as part of AAC&U's ongoing work on "Civic Learning and Democratic Engagement," Civic Prompts addresses the undergraduate major as the next frontier of civic learning. 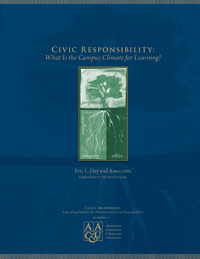 A practical tool for building faculty capacity meaningfully to embed civic learning in their courses and programs, Civic Prompts represents a first step in investigating a largely unchartered territory. 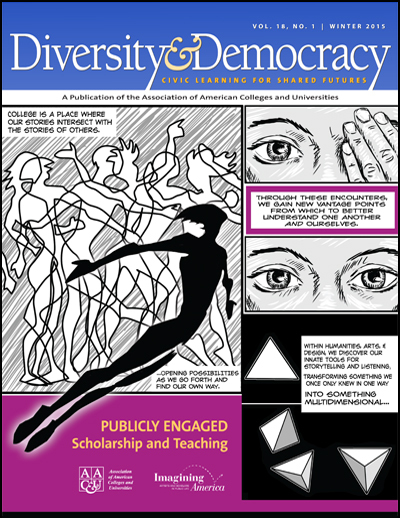 It offers a process, or set of prompts, through which faculty can begin to increase student learning by defining discipline-specific civic lenses that explore the public purposes, civic inquiries, and actions embedded in their fields. 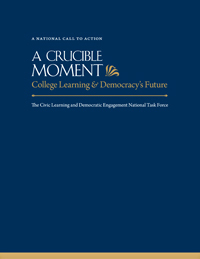 Ideal for faculty development initiatives, teaching and learning centers, and anyone interested in providing faculty the tools to embrace and implement effective civic learning. Download a Free PDF at www.aacu.org/civicprompts.